There are 3 reviews of Séxual. this lasts about an hour. very soft and powdery. not worth the price. This isn't the most interesting scent, but nice nonetheless--just a soft, warm rose fragrance that would be beautiful when worn during autumn, maybe layered with an incense fragrance. A very round and warm fragrance redolent of flowers and soft spice that also gives an impression of fruit in the top notes. Nice, but don't let the name get your hopes up. A just-short-of-cloying come-hither evening scent. Similar to Ferragamo's Incanto. There are no member images of Séxual yet. Why not be the first? 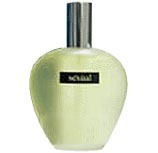 any perfumes to Sexual Sugar Daddy by Michel Germain ?